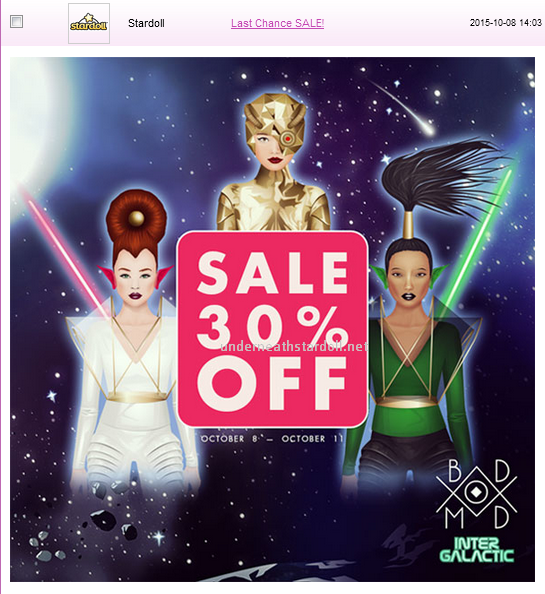 Today we got an announcement that the Bod Mod collection 'Inter Galactic' is leaving starplaza with 30 % off sale. You have time to buy stuff you want until October the 11th. What do you think of the sale, and the collection overall? Will you buy anything?